The Department of Engineering Education will celebrate its two-year anniversary on November 6, 2017. With approximately 250 faculty, staff, and student employees, we are the academic home of Ohio State’s first-year engineering program, undergraduate multidisciplinary capstone design, and engineering technical communications courses. In the autumn semester of 2016, EED offered instruction to almost 4000 undergraduate students. In addition to maintaining high-quality undergraduate student programs, the EED is developing a proposal to create a graduate program where admitted graduate students will earn Ph.D.’s in Engineering Education. The development of this program establishes a firm foundation for an expansion of our research, which will position the EED as a department where undergraduate and graduate education complement research and practice in the development of diverse career pathways for our engineering students. We would like to hire a Graduate Administrative Associate to assist us in moving the department to the next level. The GAA will assist with event planning, marketing material development, social media editing, and streamlining various processes (such as teaching assistant hiring). Other responsibilities include database creation and maintenance, research grant administration, and miscellaneous office tasks. The GAA may also oversee student employees. 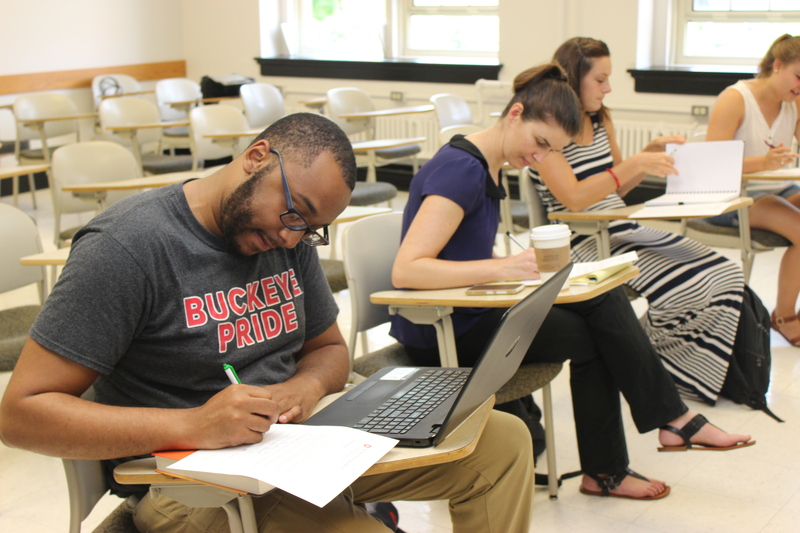 The GAA is required to have strong written and verbal communication skills; strong interpersonal skills; strong attention to detail; and acceptance as a graduate student at The Ohio State University. Competence in Microsoft EXCEL, PowerPoint, and Word are required. Experience in project management and databases are desired. The applicant must be in good academic standing. Average twenty (20) hours per week per semester, which is a 50% appointment; must commit to work two academic semesters minimum. Please submit a CV, transcript or advising report, and cover letter (addressed to Dr. Lisa Abrams) to eng-eed@osu.edu by Friday September 22, 2017. Please also include up to three references (names and contact information). Appropriate references would be an advisor, professor, or employer. Selected candidates will be contacted the week of September 25 for an interview. GAA appointment to start during Autumn 2017 semester as soon as possible. Posted by putnam.83 at 1:12pm Posted in Funding, Job Posting. Bookmark the permalink.